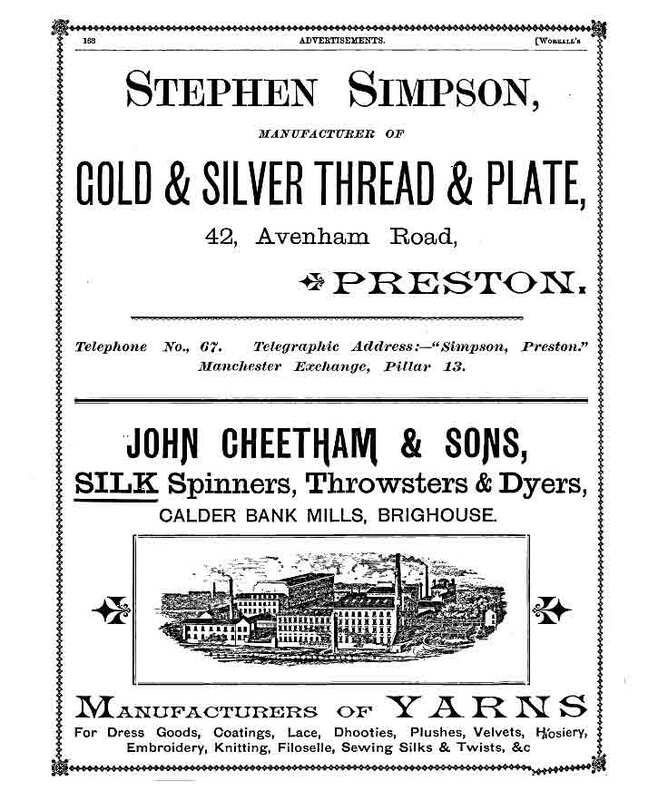 1891 Silk Spinners, Throwsters and Dyers. Manufacturers of Yarns. This page was last edited on 14 April 2019, at 09:03.